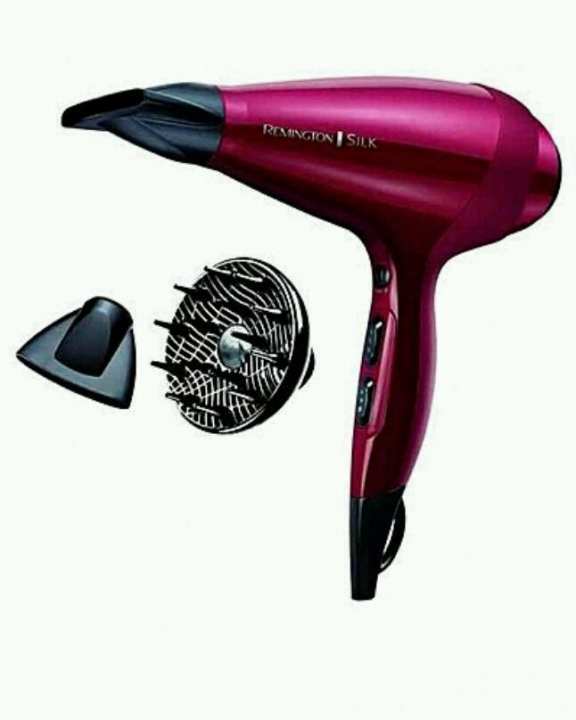 Get faster drying and professional results with the Remington Silk Ceramic Ionic AC Professional Hair Dryer. Infused with real SILK proteins, this advanced technology dryer smoothens frizz and leaves you with silky smooth salon styles every time. The dryer's salon quality AC motor provides maximum speed and power of airflow giving you 50% faster styling versus standard dryer without ion generator feature. The AC motor is also guaranteed to last, giving you a chic salon blow-out look.